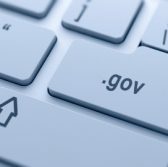 Dell has received a two-year, $1.2 million contract to help the U.K. Department for Work and Pensions decommission an online tool for citizens to access government services, system, Government Computing reported Friday. Neil Merrett writes the contract for Government Gateway covers hardware maintenance and software support services to DWP, Merrett reports. According to the report, the contract award comes as DWP works to replace the gateway system with the GOV.UK Verify ID assurance platform. The Verify system is designed to subject users to identity verification processes by pre-selected companies before citizens are allowed access to government digital services, the report said.